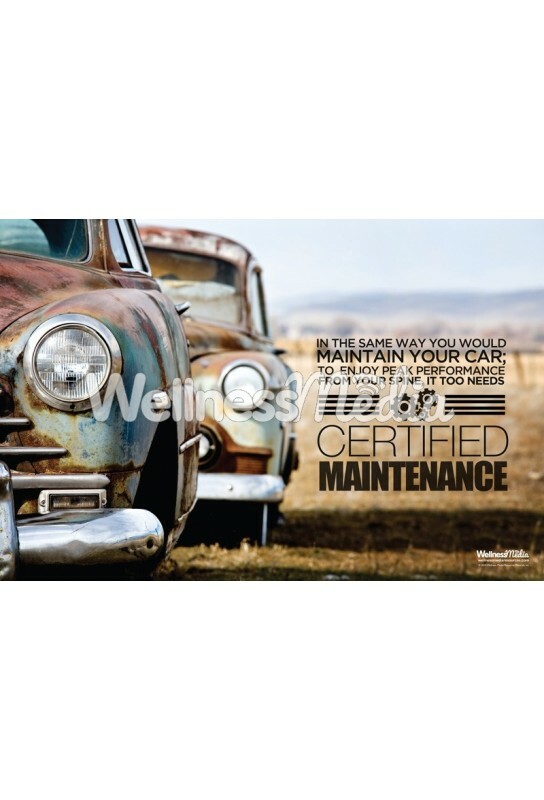 This 12" x 18" or 18" x 24" chiropractic poster uses the classic car comparison to illustrate how our bodies require regular maintenance care. 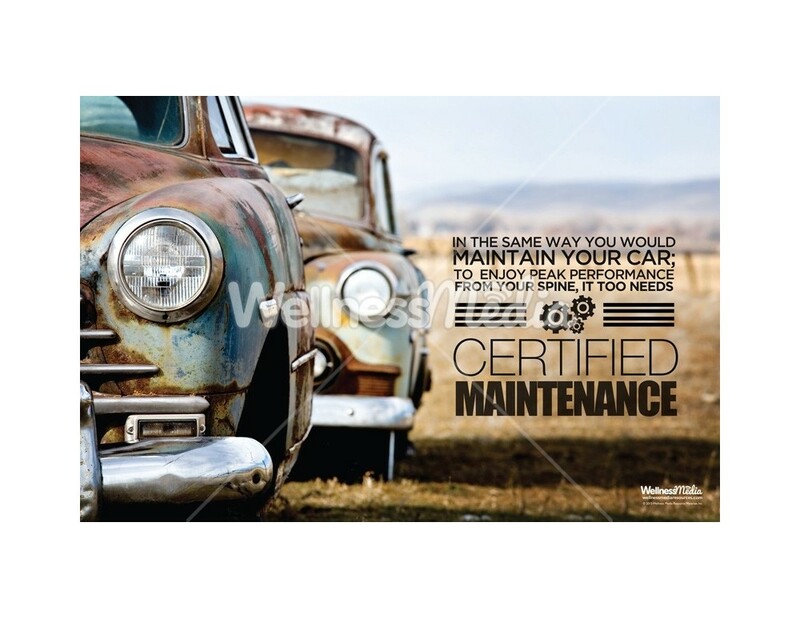 Also available in 24” x 36” (custom size option printed on demand, please allow an additional 2 business day processing time for your order). Add More Titles to Save! 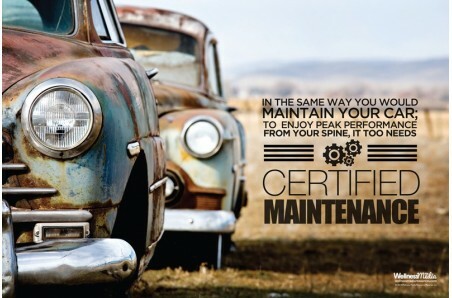 In the same way you would maintain your car; to enjoy peak performance from your spine, it too needs certified maintenance.